Hit 93 people on our Webinars this past year. Plan is for 4 webinars this coming year. Finished the cycle for our CBI. Financial Update – Stacey Roach – Finished up our current grant cycle in June and working on getting the next agreement signed. Ended the grant year with a balance of around $6,000 from membership and fees. Kearney – $500, had many community partners, started a breastfeeding coalition, printed Really? Really. material and distributed throughout the community, had educational materials with childbirth graphics and have a logo, doing a presentation for childcare providers. Had 18 registrants and 9 babies latch on! Norfolk – $1,000, held viewing of the MilkyWay, training for nurses and nursing students, Dr. Leeper and Dr. Crockett held a training for local physicians, created breastfeeding directory. Aurora – $500, Breastfeeding Friends Support Group, social support, mom to mom support. Holding childbirth classes every month that includes breastfeeding classes. They got a designated breastfeeding space at the Hamilton County Fair. The first Memorial Community Health Coalition Meeting was held in July. Columbus – $900, workshop for home visitors trained by ELITE, booth at Columbus Days Fair, had several community partners. Holding a more advanced breastfeeding education class at Lincoln Lancaster County Health Department – CEUs and CERPs – August 24th and 25th. Home Visitor Conference in October in York, NE. Breastfeeding is on the Agenda. Met about a month ago to talk about the mPINC survey. They hope to improve hospital practices prior to next assessment. They contacted hospitals about removing the formula bags and skin to skin. They want to keep encouraging and pushing the ball so change happens. Pregnancy Risk Assessment Management Survey (PRAMS) is a major data source for breastfeeding. Moms fill it out postpartum. There is a group that sits to review the data. They want to put some guidance to share with potential grantees based on PRAMS data. Show evidence based data they could focus on for grant funding. There will be another Diversity Meeting in August. They’re going to work on getting pumps to some of the tribal women. Hoping to impact Native American women and increase their rates. T-Shirts were a huge success! We sold 60 shirts in just two weeks and raised $348.14. Our official membership drive begins August 26th at the Olson Center Conference. We encourage everyone here to begin the renewal process at www.nebreastfeeding.org/join and the $25 fee is now annual. Payment now will be good through 8/2016. ​​​​​​​The Norfolk Community Breastfeeding Initiative hosted a Breastfeeding Support in the Workplace Training on July 9th at the Norfolk NAHRA monthly meeting. There were 11 Human Resource Managers in attendance. Lara Anderson did a wonderful job presenting on the Fair Labor Standards Act as well as the benefits of a worksite lactation program. Upcoming the NCBI has scheduled Jackie Moline to present at FRHS on Breastfeeding Myths and MSPI on August 31st. We are promoting this presentation to FRHS nurses, WIC staff, UNMC college of nursing, NCBI members, and the FRHS breastfeeding support group mothers as well as other interested community members. ​​​​​​​We recently tallied statistics for the Lincoln, Omaha and York LLL groups. These account for our work from January through June of 2015. Lincoln – Had a table at a doula event at a natural parenting store. Many mothers, fathers, doulas, and others in the pregnancy/childbirth community attended. Handed out LLL brochures and flyers, sold copies of the Womanly Art of Breastfeeding, and answered questions. Recently sent WIC over 200 Breastfeeding Tips & Guide booklets with LLL of NE informational book marks. Distributed over 300 Breastfeeding Tips & Guide booklets with bookmarks to local medical community clinics and offices. Omaha – LLL had a table at the Baby Love Essentials Baby Fair in April. Over 1,000 people attended. Leaders spoke with over 200 attendees. York- Spoke at two breastfeeding classes at the York Hospital with the IBCLC RN. Attended by 9 pregnant moms and 4 dads to be. Donated breastfeeding and LLL published books to hospitals, pregnancy center, and book store. Published meeting notices each month in 4 newspapers. Sent out informational newsletter each month to more than 40 families (meeting reminders, local group news, new resources in the lending library, new baby news, LLL events, and breastfeeding articles). Finally, we just wrapped up the fourth annual La Leche Loco Run in Lincoln on Saturday. Thanks to the Coalition for supporting us this year! It was a fun way to get the word out in our community about what we do. Both local TV stations gave us interviews the week preceding the race. The funds raised keep our groups flourishing and allow us to do community outreach. Lincoln Community Breastfeeding Initiative provided funding and CDC Block Grant and are focusing on low income moms. There’s a warm hand off for WIC moms between hospitals to MilkWorks. The program is going very well. Will have more numbers at the end of August. 7 minority women went through community breastfeeding educator training – similar to a peer support person. South and Central American, Sudanese, Burmese moms are all involved. They’re doing weigh and stays, helping them get pumps, helping translate, etc. It’s been a very rewarding program that’s gone above and beyond what they even hoped it would do. They shared their cultural differences and breastfeeding experience and 10 Health in Lincoln is compiling the story. Working with Work Well to reach out to employers to talk about their lactation support services. They are coming up with a tool kit to provide Lincoln/Southeast Nebraska employers about laws, resources, and what they can do. As of the middle of July – 450 unique downloads, 46 states, 8 countries and 3 tribal communities. The next poster will be around providing support. Rachel presented her capstone project results. She took the Really? Really. campaign materials to physicians, nurses, others at Methodist, Lakeside, Nebraska Medicine and Creighton. It was about a 10 minute presentation at their staff meetings. She surveyed them immediately and 4-8 weeks later. She looked at how often they were discussing breastfeeding, skin-to-skin, and the sacred hour. They found that BF discussions didn’t change a whole lot but there was much more increase with skin-t0-skin and sacred hour discussions. They thought the materials really helped them talk with their patients and their confidence increased. Leah James – the Milk Depot is celebrating 2 years up and running at CHI St. Elizabeth. They collected over 14,000 ounces (174 gallons) of donor milk this past year. It goes to the Mother’s Milk Bank of Iowa. 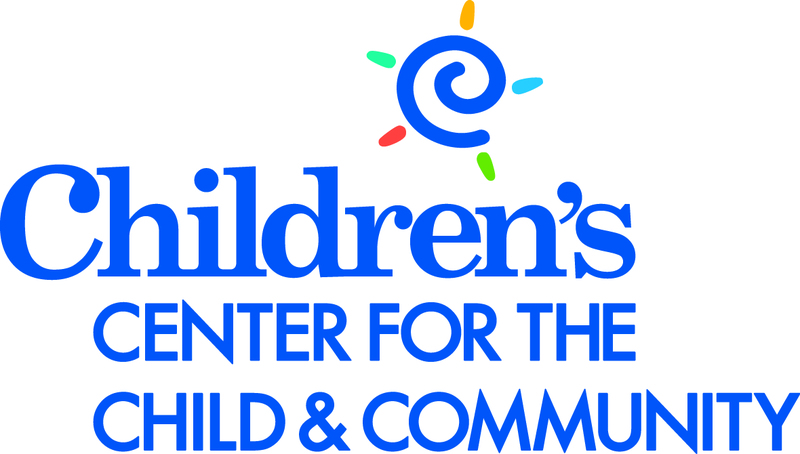 Leah James – WIC in Kearney has been partnered with the CBI and helped with the big latch event and distributed the Really? Really. campaign materials. Kearney, Lexington, and Hastings got billboards up with the Breastfeeding Works campaign. Next Tuesday, August 11th, Journal Club is on Milk Depot at the Sorrell Center at UNMC. It’s being presented by Children’s Hopsital and St. Elizabeth, Med Center and Methodist are all presenting as well. Brooke Chaney – Public Health and Health Services grant from the state to do some work in Southeast Nebraska. Since January, they have purchased and distributed the Really? Really. materials, hosted a training for physicians and medical staff, formed a coalition, built a community and resource directory, also planning to do things in August for World Breastfeeding Week and Breastfeeding Month. They’re working on developing some mom support groups as well. Also looking on doing some Worksite Wellness activities as well. Erica Arter – Host the Big Latch event. 30 moms RSVP, 10 moms came. This week their dietetic intern is giving moms info on the law, reminder bracelets, tips and guides, and magnets about storing breastmilk. Stacey Roach – MilkWorks is hosting 3 MilkyWay screenings at their location in Lincoln. 11am, 1pm, and 3pm. Meredith Willits – MilkWorksO launched their Facebook page. Jackie Moline – CLC Training is August 17-21, 45 participants in Scottsbluff. Promoting breastfeeding on the DHHS Facebook pages. Lorna Marshbanks – there have been some issues with the peer counselor training in Douglas County.